Alex Bilodeau and his brother Frederic celebrate following the freestyle skiing moguls competition in Rosa Khutor Extreme Park. When Canadian freestyle skier Alex Bilodeau took home the second gold medal of his career on Monday night in Sochi, he celebrated with a brotherly embrace that warmed hearts the world over. 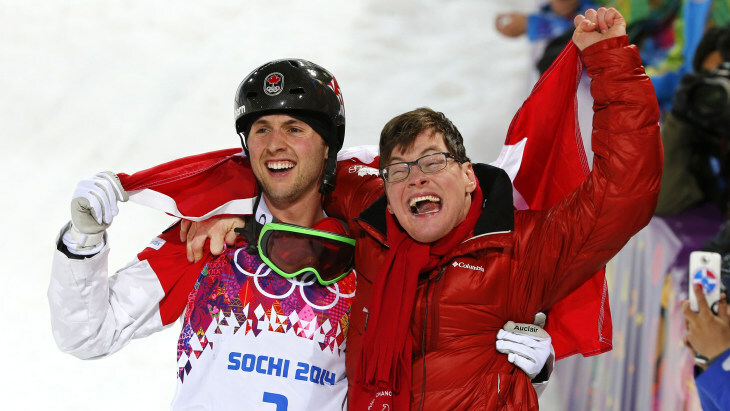 Bilodeau’s brother Frederic, who has cerebral palsy, gripped him tight as the two jumped up and down in celebration after Alex, 26, became the first athlete to win back-to-back gold medals in moguls, having also won the event in 2010 in Vancouver. Alex dedicated his gold medal to Frederic, who has served as his inspiration throughout his career. [Frederic said] the same thing he said to me in Turino and Vancouver; he loves me,’’ Alextold Matt Lauer on TODAY Tuesday. “He says, I love you Alex.’ That’s the first thing he tells me. He’s so proud. He lives his dreams through my eyes and for me it’s priceless to see that, to see his eyes just so big and so proud. The images of Alex and Frederic celebrating have quickly become some of the most evocative from Sochi, and Frederic has become a mini-celebrity in his own right. Lauer asked Alex if Frederic’s popularity may one day eclipse his own. Alex Bilodeau speaks with Matt Lauer about his freestyle win. Bilodeau put together a nearly flawless run in the finals for a score of 26.31 amid the warm temperatures and slushy conditions at Rosa Khutor Extreme Park. 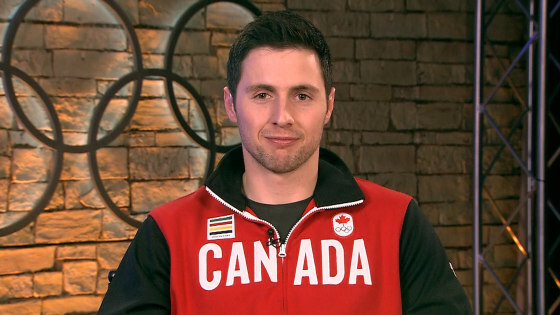 It also happened to be the capper to Bilodeau’s career; after it, he told Global News afterward that he plans to retire after Sochi and focus on a career in accounting.